A little assortment of bits and pieces this past week. Something about it just called out to me. 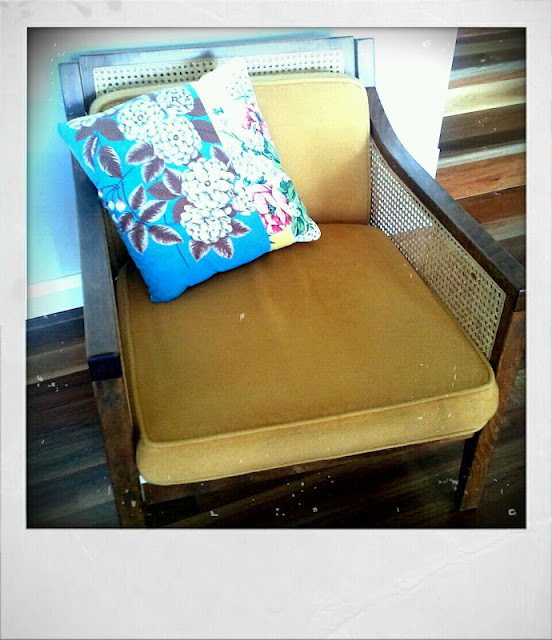 I walked around the Salvos with it, while I thought up a plan for it. I think it will be very pretty with some daffodil bulbs planted in it. Any other ideas? And finally, I bought two of these chairs last month. They were $25.00 each. Hubby has moved this one inside and has claimed it as his new morning coffee drinking spot. I have plans to get some new foam cut and new covers as well. For now I am happy enough with the mustard covers and Zara's gorgeous cushion looks right at home there, I think. Have you been op shopping lately too? 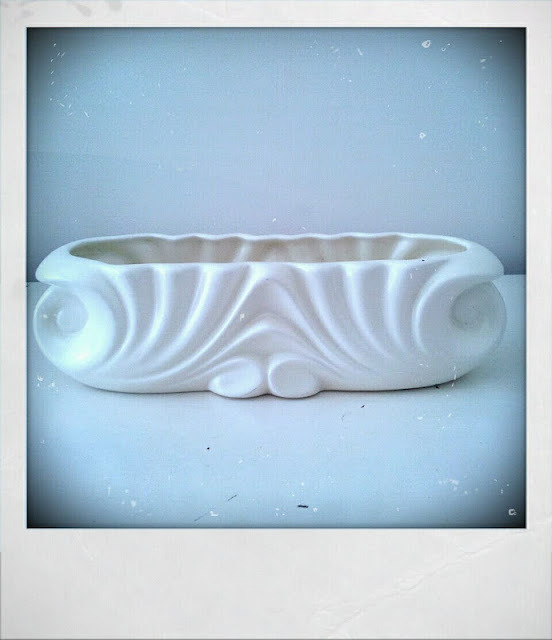 Once again, I am linking up with Sophie's Flea Market Finds. 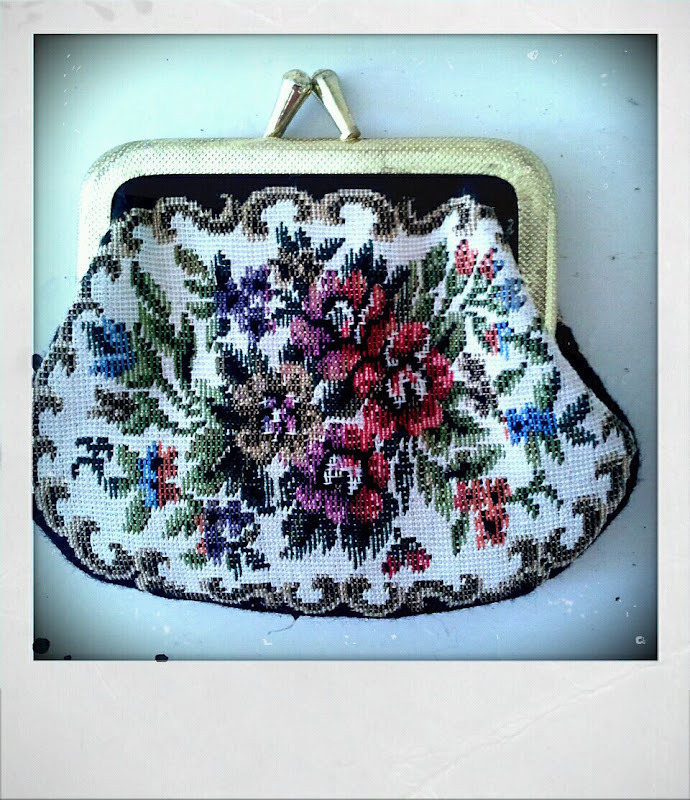 Oh love the green floral, the pretty purse and that gorgeous vase, is there a makers mark on it? 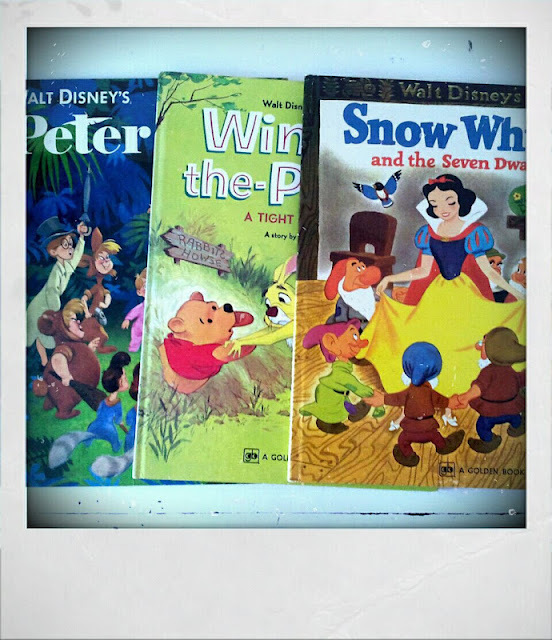 Hi there Lea, you always manage some wonderful finds, love the Disney books how special! You have so much vintage sheet success! I love the little purse. I love the mustard Lea. Zara's cushion looks perfect atop it. The vase is stunning and bulbs would look beautiful. Those chairs were also a great buy. I do love that chair! 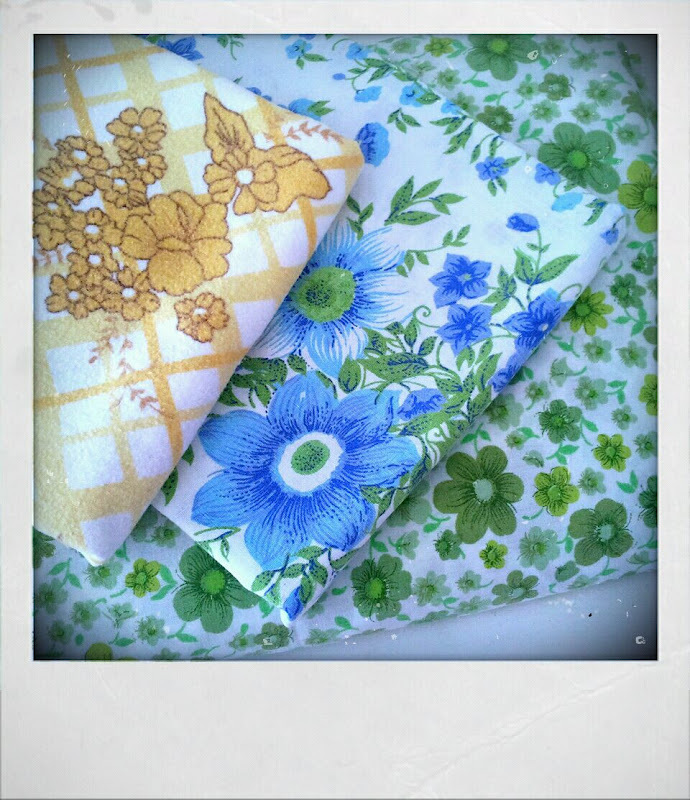 You find the loveliest finds Lea...its always a treat to pop by and see them all. Love the yellow skirt....its adorable.